The Grandma PowerPoints and the handouts are at the bottom of this post….Scroll down!! 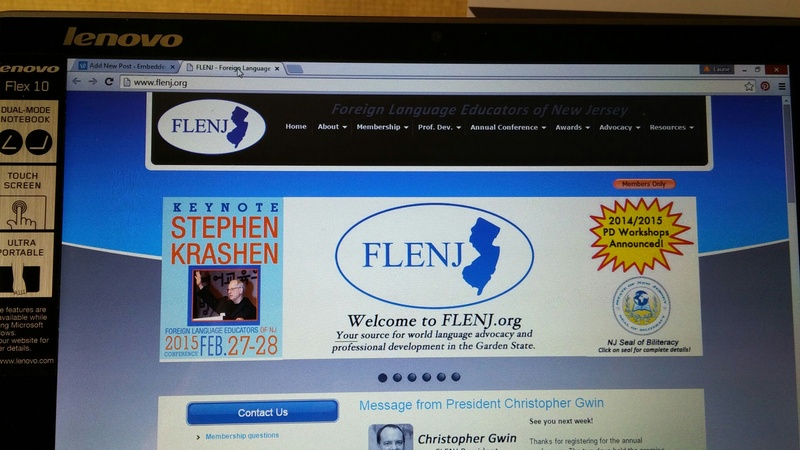 The FLENJ Spring conference has been full of dynamic and devoted teachers. Below are a number of resources for teachers interested in Comprehensible Input, TPRS and Embedded Reading. First are websites, blogs and more. Below that are the resources for the Embedded Reading presentation. Thank you for coming. Facebook Groups Tri-State TCI North Jersey PLC Contact Noemi @ nrodriguez@pascack.k12.nj. Carol Gaab TPRS Publishing Inc.
A member of the moretprs listerserv sent in a blog post in Spanish about the victims of the 1963 bombing in Birmingham and wondered if someone could create an embedded reading. So we did. :o) The readings are all in the past tense, and more and more info about the bombing is revealed in each reading. At this time, all we have are the readings. If we have a chance to create activities, or if any of you do, and would like to share, we will put them up. Full Day Embedded Reading Workshop!! This workshop runs from 9 am until 3 pm…..a wonderful chance to really dig deep into Embedded Reading and to prepare /workwith readings for your classroom alongside other dedicated language professionals! Feel free to contact Shannon Lorenzo at slorenzo@flenj.orgwith any questions.